So, something pretty unbelievable and huge happened, which is that my middle-grade book, Little Apocalypse, is going to be published by the super fine people at HarperCollins. I have been working toward this for so long, and it feels like the shiniest rock in my pocket that I can touch all day long and every time it makes me happy. I can’t even express how much I love this book and how thrilled I am that it is going to be out in the world soon. Cover reveals and more information coming soon…. How do you write books and have kids? Well, that’s the question isn’t it? At least, that’s the question a lot of my writer friends ask me. How the hell do you write books and have kids, especially if you aren’t rich enough to farm out parenting labor and you’re the primary caretaker of your kids. Let’s be real: when kids are young, it’s a dawn to dusk work of forming the creation myths and realities of your kids, and while there is down time, it tends to be sporadic, brief, and random. Let’s also be real: the U.S., for those of us who live here, does not have family friendly social or labor programs for families. So to start, here’s my biggest trick: I have a lot of privilege. Period. Full stop. There are a ton of people on this planet who cannot, for all kinds of reasons, write books. I’m thinking war, unrest, access to literacy, access to food and water, economic precarity, disability, etc. Things I have: stable housing where kids can safely play, a partner who has a job, a car that makes my weekly chores way briefer, the ability to only work part-time paid work, and friends and neighbors with kids. So I’m writing this from the vantage of already having a lot of things going right. 1. Let them watch TV every day for an hour while you write. Be vigilant in this time and do nothing else, nope nothing else at all, nope, go away alluring internet of shiny things. During these sixty minutes, write! Also, keep it to an hour, what with young brains and all. 2. Set up a dope milieu. Arrange warring stuffed animals on the floor, put out some duplos, make some snacks, and put on some music and pray, pray, pay that your kids fall for it and do stuff without asking you for a million things a second. I can usually get a solid hour’s work over a couple of hours time this way, which works for me for editing but not so much in drafting. 3. The stars do not need to align and twinkle for you. Don’t expect beautiful writing time with pink wine and smooth jazz playing in the background. Type on your snot-covered laptop balanced precariously on your lap while someone is pulling your hair and kicking your nose and know that life is good. 4. Kill lots of birds with stones (says the bleeding-heart vegetarian). Go on runs or walks and think about your book. Exercise is super for this kind of work, and your animal needs exercise. So try to do both at the same time. 5. Get down with your squalor. You want to write some heartbreaking books? Something, or maybe a lot of somethings have got to give to make this happen. My house is super-gross all the time except for when people are coming over and then it becomes slightly-less gross. 7. Go slow. Life is long, hopefully. Little ones are big ones tomorrow, so counterbalance your life work with your kids and try to really see them and be with them in deep ways all the time first and foremost. Really, I think we will all regret this if we’re so busy with work that we don’t make the deep and wild intimacies with our kids a priority. So kiss them and throw them in the air and remember to catch them on the way down and know that a deep life is good for writing. Summer is flying by so fast and it made me cry this morning with the bittersweet feeling of wanting to hold on to something and having it just keep falling away. Everything is rushing and moving past like the Sacramento River I spent the week gazing at. My kids change in slow motion so I can never see it happen but all of a sudden they are so huge and competent and can’t we all just stop barrelling through time for a moment? And then there’s the news of the day which also makes me cry. Let’s keep fighting the fascists everywhere and in every way we can, shall we? 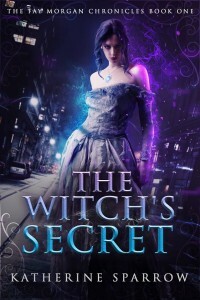 What the heck is Morgan le Fay’s Secret? I’m so not telling. You are going to have to read the book…. And for those of you who are saying, hey, I remember this book, with a different cover and title, you are right, sort of. I initially published the Fay Morgan Chronicles as novellas, and now they are novel length with lots of additional materials. For people who are hungry for new Morgan, that will be coming in a couple of months, I promise. I read a lot and am both a tremendously picky reader and also easily romanced by a good book of any sort. Here are my best reads of late. 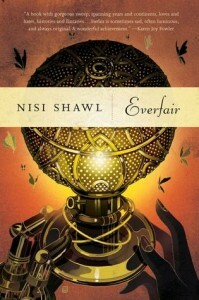 First and awesomely, Nisi Shawl’s book, Everfair, which I recently picked up from the University Bookstore. You should be able to find it everywhere. Nisi is a personal friend and I have long admired her deep thinking on prose, story, and perspective in story. She has this term for thinking about characters and how they interact with the world called parallax, which is a physics term that applies to how you can tell where something is based on how it is viewed differently from two different points. The parallax of characters means something like you learn a lot more about yourself/the world/the story when you let in room for showing things from different perspectives. Brilliant and important, and while I am only at the beginning of this steampunk in the Congo (during the terror of Leopold the second) I am so enjoying the sentence, the characters, and the story. 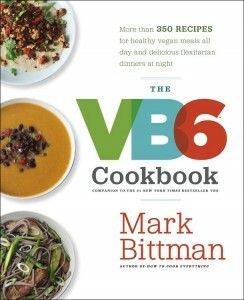 Next, a cookbook I borrowed from the library that is called VB6, which is a mysterious title unless you are part of the flexitarian/vegan before six faithful. In short, it’s this cookbook by Mark Bitman, former NYT columnist that is full of great vegan recipes. I am a lifelong vegetarian that is always look for new recipes with appropriate amounts of protein in them. This cookbook is brilliant at putting beans and tofu in everything, everything, and so far I have enjoyed sweet refried beans with apple slice for breakfast, a brilliant lentil soup, and this weirdo tofu jerky that is utterly addictive. Yum. I find this cookbook full of super easy recipes and highly recommend it for anyone tired of the boring boring same old cooking. And last, the book I found at the lovely free library a block away. I don’t know if most cities these days have tiny free libraries, but Seattle is full of them and I love the adventure of opening them and seeing what’s there, as well as filling them up with books I love but don’t need any more. 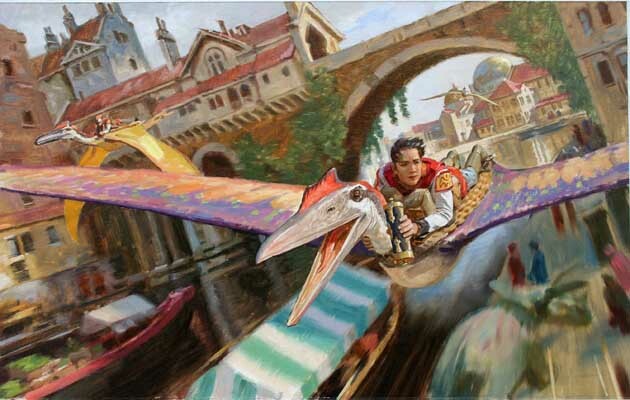 This book, Dinotopia, by James Gurney turns out to be such a great read if you happen to have a three and six year old to get to bad at night and don’t personally want to be bored to tears. It’s written from the point of view of a (fictional) biologist and naturalist from the Victorian era getting shipwrecked on an island full of… you guessed it: DINOSAURS! The illustrations are astounding and the story is great and intriguing. I think (via a sticker on the cover) it was a big hit a while back, so maybe everyone has already read it, but it is a gem. Things I didn’t do today because I sat in front of my computer and worked on boring book revisions (and made awesome progress). 1. I didn’t make hot fudge sundaes with caramel and hot fudge sauce and think about my Grandpa, because hot fudge sundaes always remind me of him. 2. I didn’t go to the overcast and windy beach and get sand in all the wrong places. 3. I didn’t read books to my kids and see how the latest Lumberjanes turns out. Man, I love that series. 4. I didn’t fool around on the internet and feel fascinated but then emerge hours later from a fugue state vaguely recalling that there had been a cute dancing baby rhino, maybe. 5. I didn’t watch videos of people making fun of Trump and Hillary since this election year is my Olympics. 6. I didn’t go to that secret hammock down the street and eat all the half-moldy and forgotten strawberries and then take a nap. 7. I didn’t stare at my kids and be absolutely perplexed by how perfect they are in being themselves and how absolutely lucky I am to get to be one of their creators. But, I got to make my own weird world where strange and cool things happened, so there’s that. One of the ephemeral pieces of creating oneself as a writer is noticing and finding the stories you want and need to tell. Eventually, if you write enough, you start to notice that story is all around you, seeping into your coffee and stabbing you in your sleep. But it takes a while to notice it. So, here are some places I go to look for story when I need it. 1. Misheard randomness at the coffee shop. This is from some notes I took at a cafe once, and I have no idea what this person was talking about, but I love it: I am never looking back. I am so glad I’m never looking back. I cheated and am on the moon now. 2. Bad news that is enraging. Flint Michigan poisoning all its children with lead because their unelected city manager changed their water source to the Flint River and didn’t treat it properly. This makes me so mad and my mind starts to spin off into ways those kids might someday enact revenge on the city manager, or more positively how this could be the root for some kind of big grassroot’s campaign for justice. 3. Deranged listicles and the bananas culture of the clickbait world. I mean, really. That edge of pop culture is so surreal. You could just take the headlines and write something near future and rad. 4. Mythologizing your own past. Have you read Among Others, by Jo Walton? It’s her autobiography. It’s also the story about a twin girl who battled her evil mother and teamed up with faeries and what her life is like after saving the world. 5. Walking through the world quietly and observantly and seeing what happens. If it’s good enough for my friend Walt Whitman…. 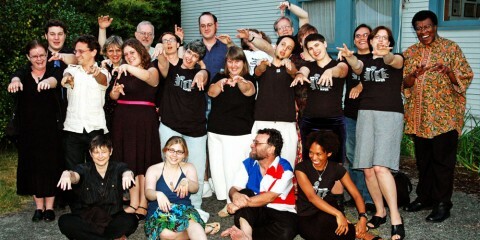 True Fact #1 : I’m the administrator for the Clarion West One-day Workshops that take place nine Sundays a year at the University of Washington Book Store. True Fact #2: I’m the administrator for these workshops because I think they are damn brilliant at giving writers shortcuts in their writing. By shortcuts, I mean cutting down some of those 10,000 hours to writing mastery. True Fact #3: They do that by focusing on a specific part of writing: plot, character, visceral details, the spark of creativity, etc. When we write, we try to do all the things at once, ie tell a great story, and it is really hard, for most writers, to slow it down and practice one thing for a full day. That’s what these workshops do, and I highly recommend them. It occurred to me as I was working on my WIP (work in progress) this last week that there is a way in which I am rewriting the same stories with the same central stories that I wrote when I was a teenager: who am I going to be in the world and how am I going to help the world change? Back then, a quarter century ago, I was just starting to get glimpses of the injustice in the world, contextualizing my own wounds within the power structures of my society, and raging about why the world wasn’t a better place. Truth? I’m still screaming and asking that in everything I write, and most my protags are teenagers, because that’s the moment, I think, when you choose to spend your life trying to change the world or not. Oddly, I’ve also been writing some adult main characters lately, and they are all super-old immortals. I have a guess this is because I find myself at this moment in life of feeling both really old and really young, but not, you know, my actual own middle age.